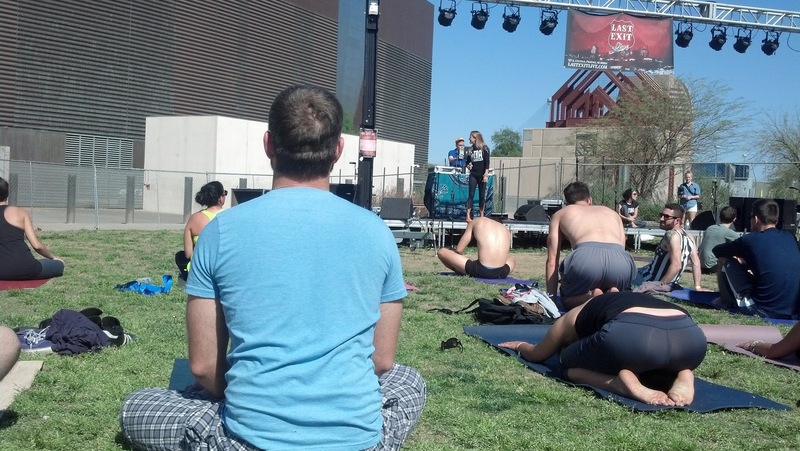 The day kicked off with blissful — and might I add free — yoga at the McDowell Mountain Music Festival’s local stage. Danielle of Sutra Midtown led the class at Margaret T. Hance park in downtown Phoenix, and a DJ gave us the perfect soundtrack to our Sunday morning practice. There was even a man in a rainbow-colored, muumuu-like robe blessing us with dance and smoking herbs. Yoga was followed by a perfect afternoon at a spring-training game at Camelback Ranch Glendale. The White Sox lost badly to the Royals, but it was too pleasant out to care. Not a cloud in the sky for Royals vs. White Sox.